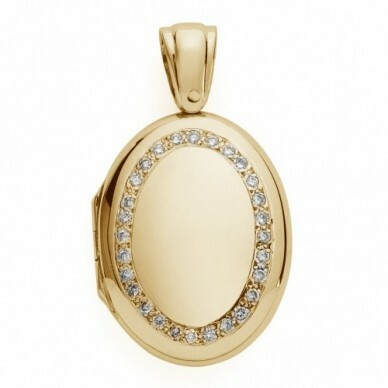 This classic locket is an absolute beauty. It will never go out of style or be far from your heart. It is set with .28cts of fine diamonds. Crafted in fine 18K gold for us. It is 3/4 inch across and aprox 1" long and is also available in two larger sizes. Please order a chain separately Need a chain?Contact usemail us for details.